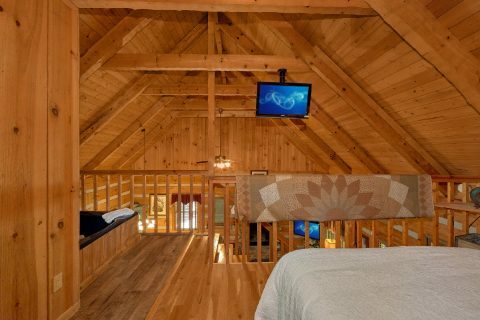 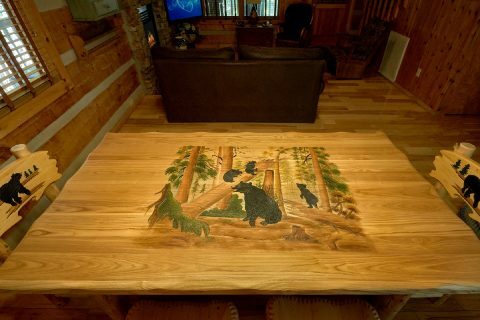 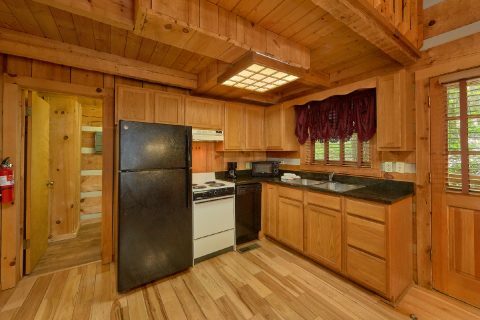 Searching for the perfect cabin for you and your sweetheart to enjoy the Smoky Mountains? 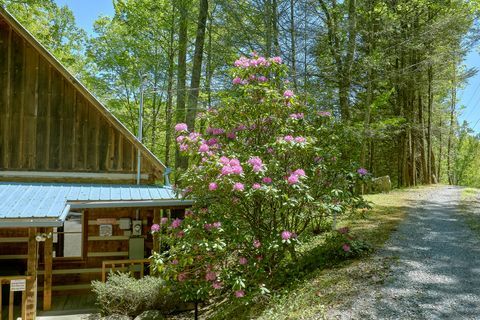 Check out "Cuddle Creek Cabin," an unforgettable 1 bedroom honeymoon cabin with a beautiful creekside location in the Smoky Mountains! 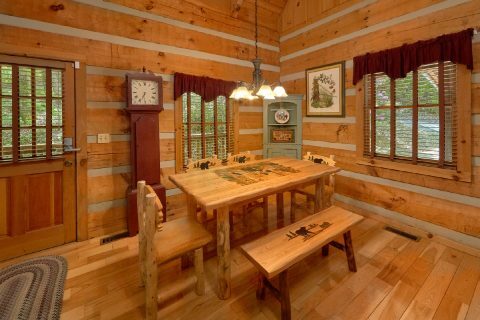 Since this cabin rests less than 6 miles from the heart of Downtown Pigeon Forge, you'll have will have no trouble finding fun things to do and see during your stay. 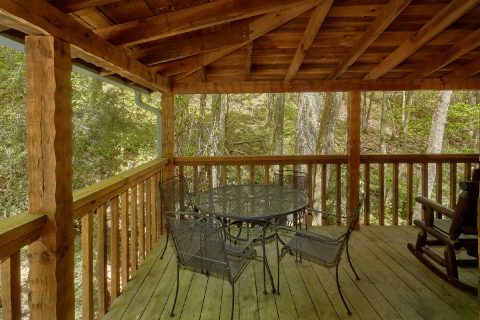 This cabin is also only a short drive away from Wears Valley and a lesser-used national park entrance at Metcalf Bottoms. 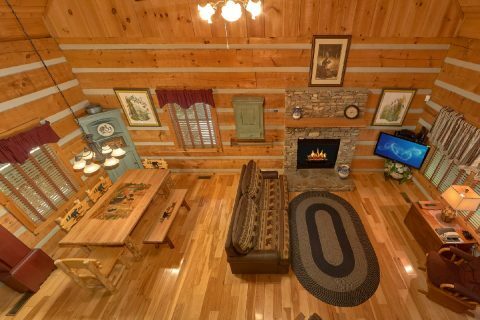 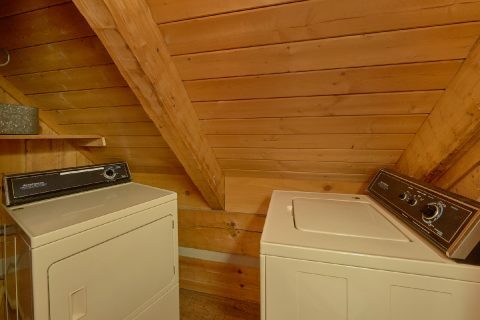 Better yet, after a great day spent at Dollywood or seeing excellent Pigeon Forge shows, you'll love unwinding at this cozy cabin with plenty of comfortable amenities. 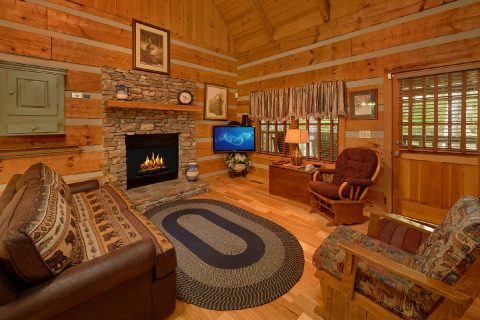 In the main living room area, you can cozy up by the gas fireplace with your sweetheart while you enjoy a laid-back movie night. 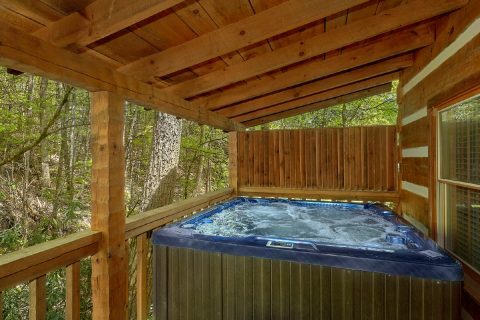 Nearby on the back deck, you can enjoy a soothing dip in the warm waters of the hot tub while you listen to the sights and sounds of nature that surround your cabin. 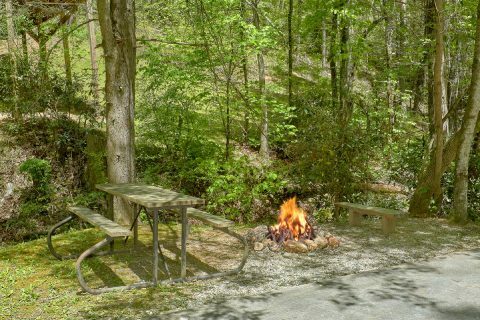 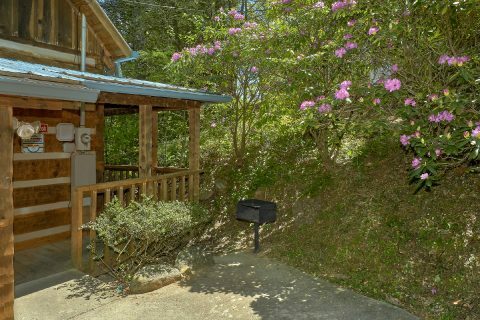 Outside, you'll also find your cabin's fire pit area that comes complete with a sitting bench, a picnic table, and a park grill for enjoying your cookout in the Great Smoky Mountains. 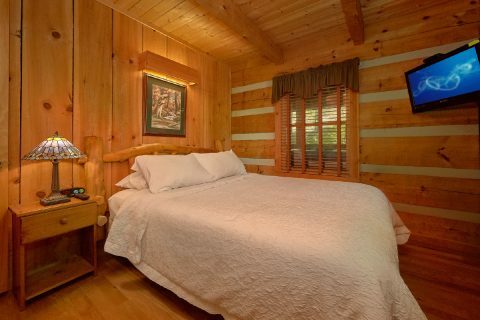 To get ready for your next day's adventures, you can look forward to getting a good night's rest in your cabin's queen-sized bedroom on the main level. 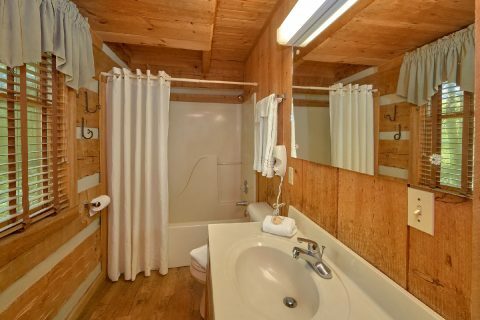 This floor is also home to a full bathroom. 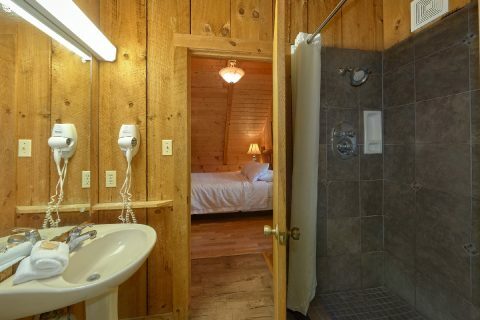 "Cuddle Creek Cabin" also offers an upper-level loft area with a queen-size bed, a flat-screen television, a jacuzzi tub, and a full bathroom with a tiled-in shower. 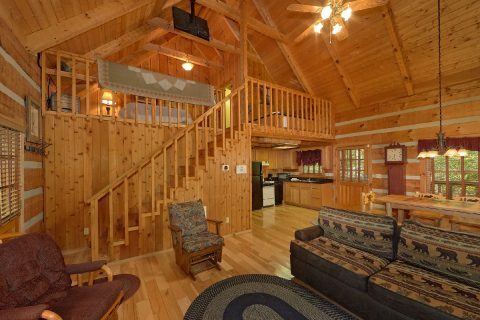 With an additional sleeper sofa in the living room, this honeymoon cabin can easily sleep up to 6 guests in comfort. 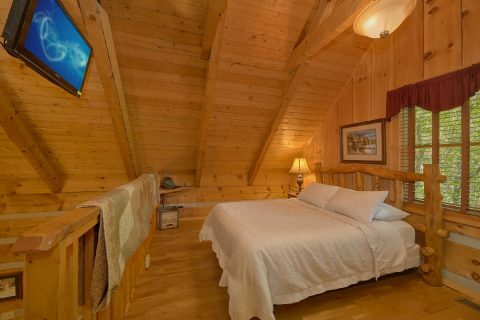 Need more accommodations for your family or friends? 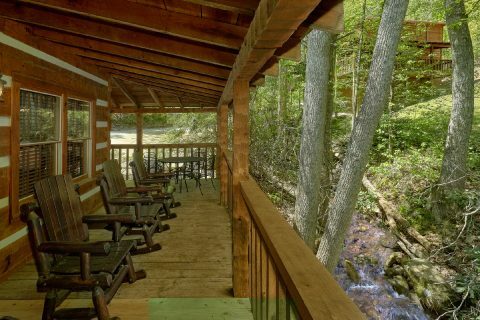 Cabins USA also offers two nearby cabins, "Turtle Dovin'" and "Kicked Back Creekside," that can be booked along with "Cuddle Creek Cabin" for an unforgettable multi-cabin vacation! 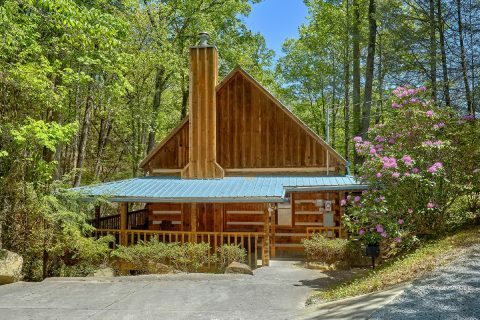 Lastly, this cabin rental also comes with practical amenities like WiFi Internet, a washer/dryer, a dining area with a full-sized table, and a fully-equipped kitchen for making delicious meals during your stay. 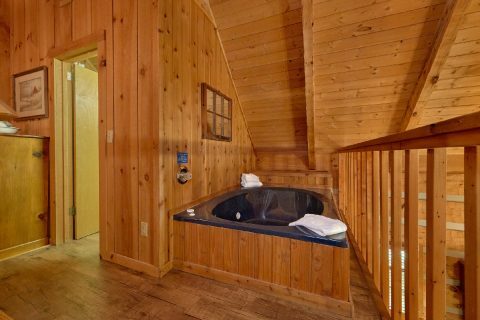 Book this comfortable honeymoon cabin with a hot tub and a fire pit today and you'll save 15% on your nightly rate with Cabins USA's special cabin discount!